Our article “Guns, germs, and trees determine density and distribution of gorillas and chimpanzees in Western Equatorial Africa” was published in Science Advances earlier this year. “The whole is greater than the sum of its parts” is easy to understand, but sometimes it takes a long time to assemble those parts, and a great deal of effort – the effort in our case: thousands of kilometres walked through the forests of Central Africa by a large number of people from many different organisations, across many countries, for a decade or more. The survey data from individual sites (the parts) were used to assess the status of key species across their entire range (the whole). 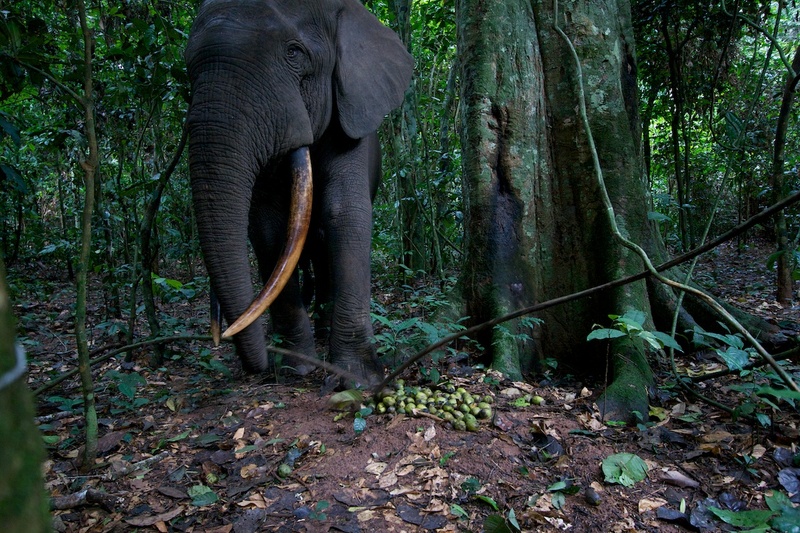 In the 1990s and early 2000s, the nations of Central Africa created a constellation of protected areas. 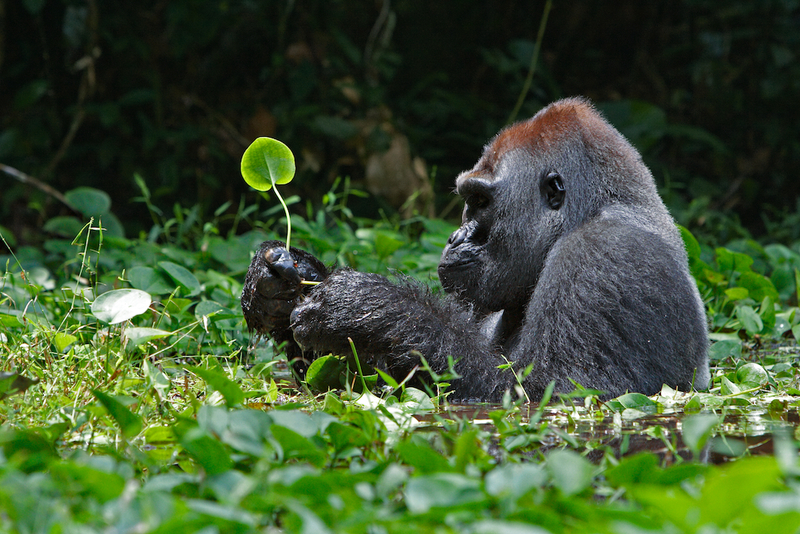 For example, Gabon created a staggering 13 national parks in 2002, and Cameroon at least 10 in the last 20 years. At each of these sites the status of its flora and fauna has to be monitored regularly, allowing the agency in charge to adapt its conservation strategy according to the results. For example, a sudden drop in a great ape population within a short timespan could point to a disease outbreak, whereas a slower decline in an antelope population with a concomitant increase in hunter sign would be more likely to indicate poaching for bushmeat. 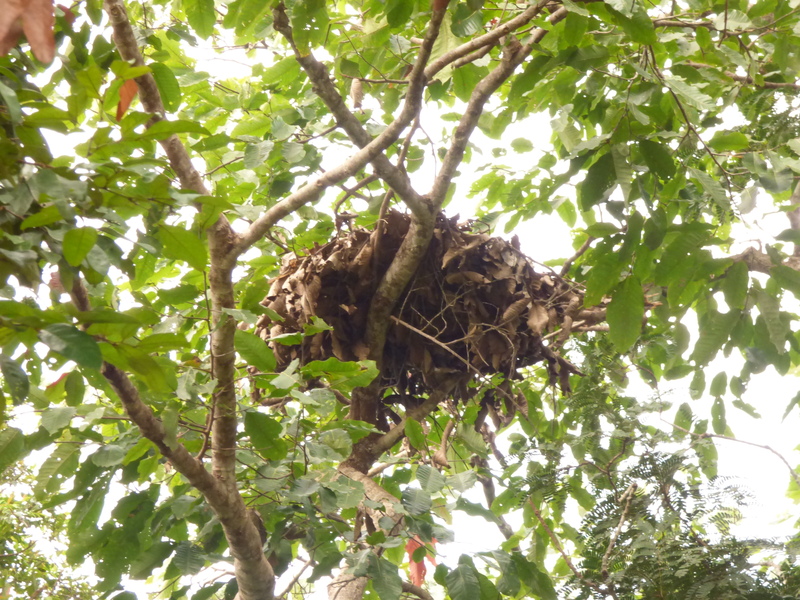 Protected areas are not the only areas to be monitored for their wildlife. 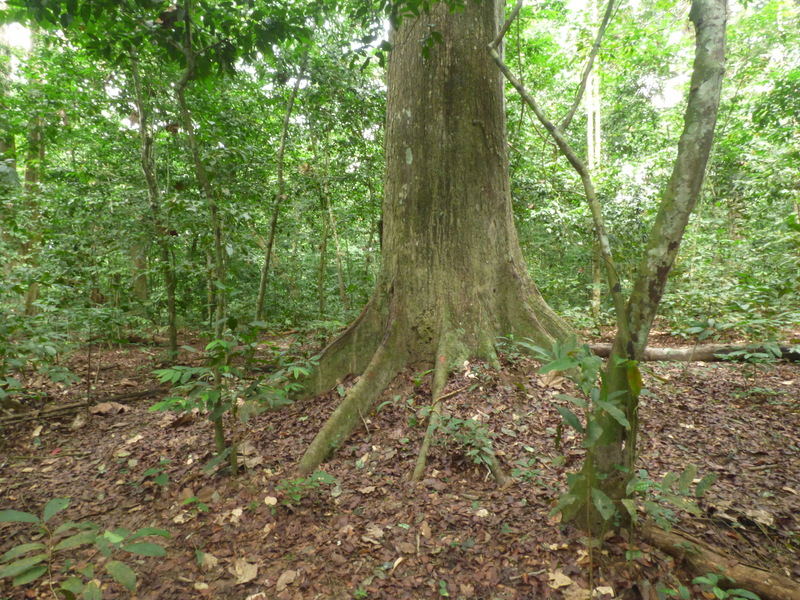 Surveys are carried out in FSC-certified logging concessions (requiring reduced impact logging and management to minimise poaching to maintain their certification) as well. All of these standalone datasets that result from the monitoring surveys are vital for site-specific conservation, and over time the methodology has been highly standardised – for example IUCN has published best practice guidelines for great ape surveys and monitoring and the CITES MIKE program pioneered standardised elephant monitoring. Today, across the whole of Central Africa, the same methods are used for sampling design, field data collection, data format and analysis. 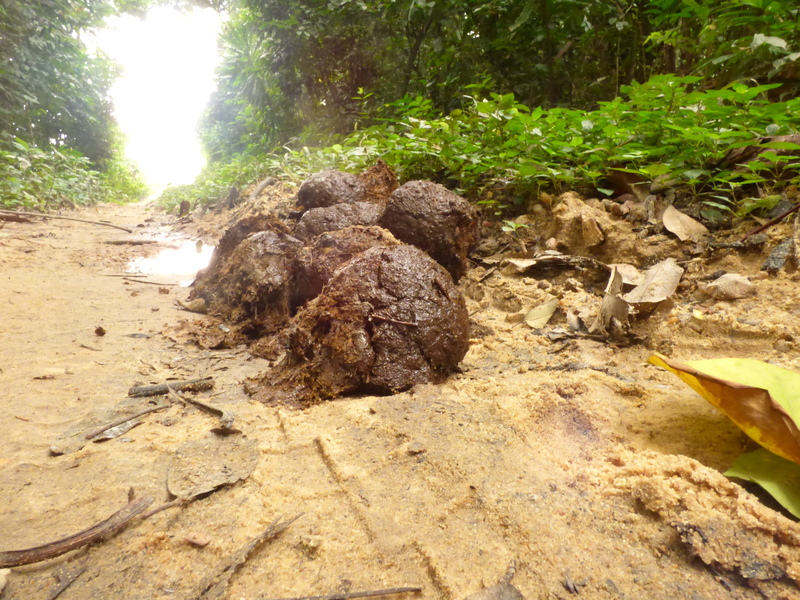 We walked along transects in the forest, recording and georeferencing all wildlife seen, heard, or the signs they leave behind – such as animal dung and ape nests. We collated the individual datasets to build models that express the relationships between environmental, management, and human pressure variables (such as vegetation type, presence of wildlife guards, human population density, and so on) and the density of the species in question. Based on these relationships, the models spanned time and space to map distribution and predict changes in density across enormous areas over time for entire species. To date we have done this for the African forest elephant (published in PLOS ONE in 2013) and we recently published a similar analysis for western lowland gorillas and central chimpanzees (in Science Advances in 2018). Western lowland gorilla. © Ian Nichols. Central chimpanzee. © Ian Nichols. The results gave us a nasty surprise, especially for elephants. We found that the elephant population had been dropping by 9% annually for over a decade, and that gorillas had been declining by 2.7% annually. 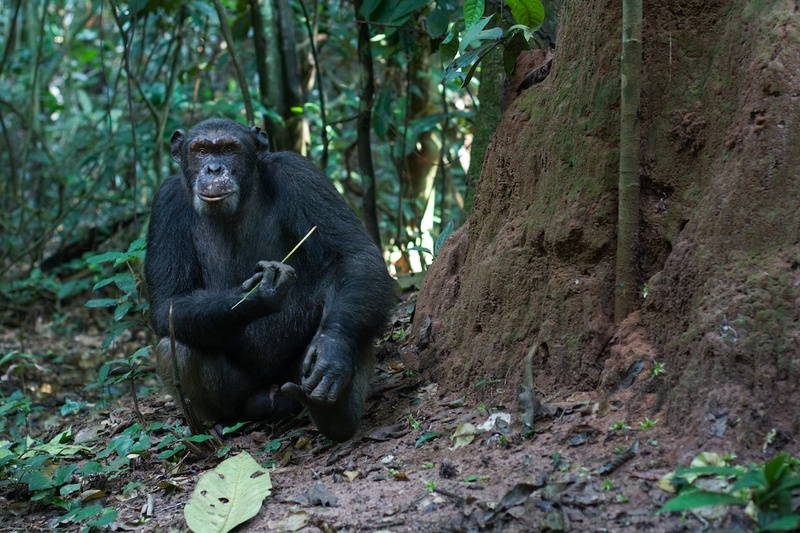 The bright spot for great apes was that we were able to quantify the numbers of gorillas and chimpanzees in the areas between the sites surveyed – more than had previously been published. This new information was also spatially explicit – we could see where there is likely to be most bang for the buck (in terms of conservation efforts). These are the rewards for investing in the creation of something greater than the sum of its parts. Forest elephant. © Ian Nichols.